What is a universal flu vaccine? Is it something that's even possible? When people talk about a universal flu vaccine, most are referring to a flu vaccine that doesn't have to be given every year. It would mean an end to yearly influenza vaccinations. It would provide protection for multiple years—or even a lifetime—if it worked. Seasonal flu vaccines are needed because the influenza virus mutates frequently. Strains evolve and change and we never know for sure which strain of influenza will make people sick the following year. Currently, public health officials determine the makeup of the flu vaccine, which contains either three or four strains of the influenza virus, based on which strains they believe are most likely to cause illness the following season. Unfortunately, because they have to be manufactured six months before flu season starts, there is no guarantee that the vaccine will be a good match to the circulating virus that is making people sick. The seasonal flu vaccines that we have now target a part of the virus that changes and mutates from year to year. It's the best protection we have against the flu, but it isn't perfect. On years when the vaccine is a good match to the circulating virus, it provides 50 to 60 percent immunity. Studies show that even when it isn't a good match, those who have been vaccinated usually have a milder illness than those who have not. If scientists are able to develop a vaccine that could target a part of the influenza virus that doesn't change or evolve, a universal flu vaccine may be possible. It would also likely be more effective than the vaccines that we currently have. A vaccine that can target a part of the virus that doesn't change would be more likely to provide better protection against it. The flu is a serious disease that kills thousands of people each year in the United States alone. Far too many people believe it is nothing more than a bad cold but that just isn't the case. The flu is highly contagious, spreading before your symptoms even start. Young children, older adults, and people with chronic health conditions are more harshly effected, but even otherwise healthy young adults can become seriously ill or die from the flu. People are skeptical about flu vaccines because they don't have a great protection rate and they are needed every single year. Most of us live very busy lives and it can be difficult to find time to get your flu vaccine each fall. Still, others avoid them because they think they can actually cause the flu (they can't) or because they don't think they are worth it. The hope is that if we have a vaccine that could provide protection from this illness for multiple years and had better rates of protection like most of our other vaccines, that more people would be likely to get them. As with any vaccine, the more people that are vaccinated, the more people that are protected. This includes those that can't be vaccinated due to age or health conditions. "Herd" or community immunity is an important public health tool that prevents serious illnesses. However, it only works if a majority of the population is vaccinated. There are multiple teams of researchers attempting to develop universal flu vaccines. They are targeting different parts of the flu virus but all are parts that don't change from year to year. The hope is that at least one of these efforts will be successful and effective. Vaccines take many years to develop. Just because something is possible in a controlled environment in a lab doesn't mean it will be duplicated in the real world, in animal trials, or in human trials. All of these hurdles have to be overcome and each of them generally takes years of work. Several teams of researchers have had success with their universal flu vaccines in animal trials. The next step will be human trials to determine if the promising results will be seen in humans as well. If human trials are successful, it's possible that we could see the end of seasonal flu vaccines. Advancing Toward a Universal Flu Vaccine | NIH: National Institute of Allergy and Infectious Diseases. https://www.niaid.nih.gov/research/universal-flu-vaccine. 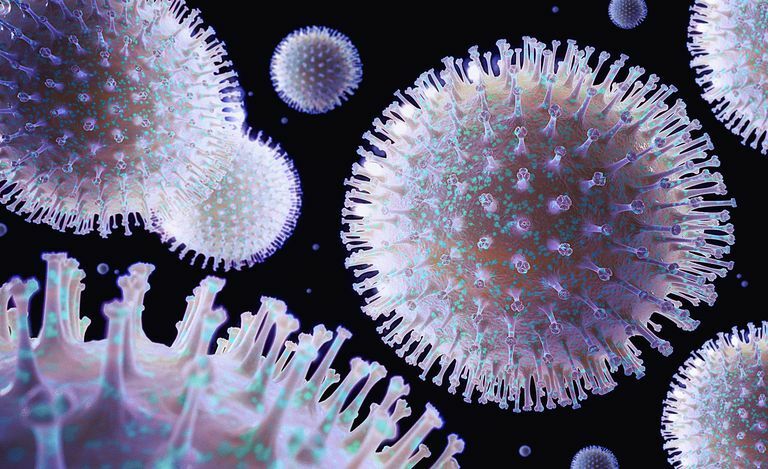 Influenza Virus. Transfus Med Hemother. 2009;36(1):32-39. doi:10.1159/000197314. Research C for BE and. Science & Research (Biologics) - Potential “universal” influenza vaccine tested at FDA. http://www.fda.gov/BiologicsBloodVaccines/ScienceResearch/ucm353397.htm.